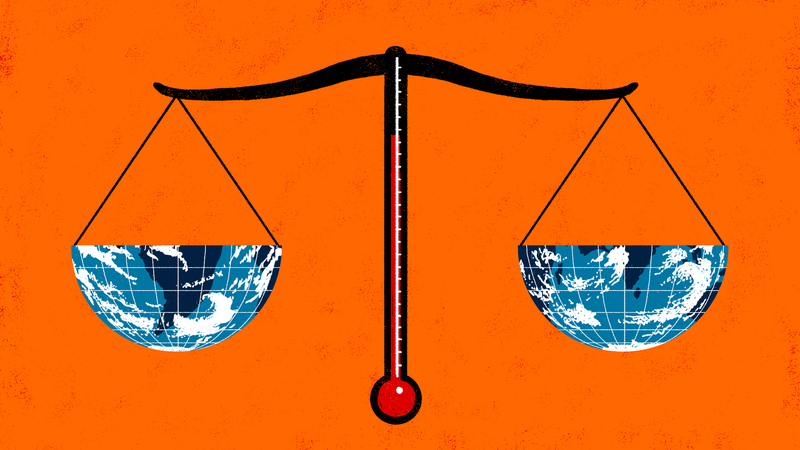 In a remarkable development in what’s shaping up to be a high-profile legal battle, a U.S. District Court judge has ordered a first-of-its kind court hearing on the science of climate change. It’s already drawing comparisons to the famed 1920s Scopes Trial on teaching evolution in classrooms. District Court Judge William Alsup ordered the climate science “tutorial” last month, the latest installment in a pair of high-stakes lawsuits pitting the cities of San Francisco and Oakland against five oil giants, including Exxon, Chevron, and BP. The California cities are alleging that carbon emissions resulting from the industry’s production of fossil fuels has led to dangerous levels of global warming, and that the defendants engaged in “sophisticated advertising and public relations campaigns to promote pervasive fossil fuel use” despite their own awareness of the impacts. For that, Oakland and San Francisco want the oil industry to pay billions toward infrastructure that’ll help them adapt to sea level rise. But first, both sides must make their case to the judge, and that includes getting into the nitty-gritty of the science. “In terms of the format of a tutorial, [the hearing] does seem unique,” Michael Burger, Executive Director of the Sabin Center for Climate Change Law at Columbia University, told Earther. The five-hour hearing, in which lawyers from both sides will present evidence, will be split into two parts. First, each side will have an hour to “trace the history of scientific study of climate change, beginning with scientific inquiry into the formation and melting of the ice ages, periods of historical cooling and warming, smog, ozone, nuclear winter, volcanoes, and global warming,” according to a notice filed on Feb. 27. The second part of the hearing, in which each side will also have an hour, will focus on “the best science now available on global warming.” In an order filed on March 6, Judge Alsup elaborated that this will include everything from the cause of ice ages throughout Earth’s history to why carbon dioxide is a greenhouse gas but oxygen and nitrogen are not. “What will be different, I think, is that the fossil fuel companies have to go into court and respond to questions that get at arguments they and their representatives have relied on in one form or another for years, to question the degree of certainty around climate science,” he said. Maya Golden-Krasner, senior attorney at the Climate Law Institute at the Center for Biological Diversity, thinks that’s a great idea. “[It’s] also going to give the oil industry a chance to impeach themselves,” she said. David Bookbinder, an environmental lawyer and chief counsel for the Niskanen Center who is consulting with the plaintiffs’ lawyers, said he didn’t think the oil companies would shoot themselves in the foot by going so far as to deny the basic realities that the Earth is warming and human carbon emissions are responsible. “I’d be very surprised if the oil industry played the ‘it’s not happening’ card because that’ll destroy their credibility with the judge,” Bookbinder said. Burger agreed, noting that presenting blatantly false information about climate change “is not really an option” at this point. While some climate skeptics will be disappointed, he doesn’t expect this to look at all like EPA chief Scott Pruitt’s oft-discussed “red team-blue team” debate, widely considered an attempt to sow doubt over established climate science. Bookbinder said that as far as science goes, the industry arguments are likely to revolve around uncertainties about impacts of climate change. But he’s more interested to see how the companies respond to the accusation that they knew about climate change decades ago, and buried the evidence. Activists and environmentalists have increasingly been confronting oil companies in recent years about alleged campaigns of deception when it comes to climate change, which are often likened to the manipulative publicity playbooks of Big Tobacco. The #ExxonKnew movement is calling for an immediate investigation into whether Exxon intentionally misled the public about climate change and fossil fuels. “What the oil companies knew is legally relevant,” Bookbinder said. He expects the companies are either going to deny that they knew about climate change and chose to ignore it, or instead argue that plenty of other folks knew, too. Either strategy would seem to fall in line with Exxon’s recent petition alleging a vast conspiracy against it. “I think this is a critical aspect of the hearing,” Golden-Krasner said, adding that she expects more information to come out about what oil companies knew when, and what they chose to do with the information. That already seems to be happening. Earlier this week, at the request of Judge Alsup, Oakland and San Fransisco filed a 1998 email memo from the Global Climate Science Communications Team, representing Exxon, Chevron, and the American Petroleum Institute. The memo lays out an action plan for sowing doubt among media, teachers, and the general public about climate change and how much of a threat it really is.